All products reviewed have been purchased by my own money for personal use, unless marked with an *, which means the items have been sent for PR purposes. Links may be affiliate links which means I may get compensation for sending you as my viewers a company's way. All my reviews are a 100% honest, I refuse to accept money in exchange for a good review and I am a no holds bars beauty vlogger and blogger. I say things as they are, and I do not soften up my words in order to get free stuff from companies. 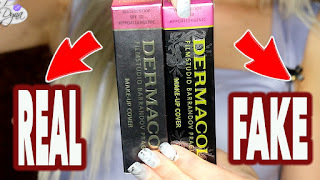 If there's any affiliation of any kind or if products were sent for PR purposes, it will be disclosed at the end of each post/ in video description. All products are subject to different people's opinions and coloration may vary from one computer to another. So please understand that when you buy something out of my recommendations, you might not like it as much as I do. All products bought through suggestions from my blog / youtube channel are at your own discretion. Products, prices and websites listed are only meant as a guideline, they may or may not be correct but to my knowledge, they are supposed to be. But for the sole reason that I try to remember everything by heart, I may mistype or write something which may not be correct. Photos and / or videos cannot be used without the consent of the owner of this blog and anyone who distributes photos / blog posts / videos other without crediting the owner will be held liable in accordance with copyright infringement law. I do accept advertising on the layout of my blog. I do accept free products for PR purposes. Products are not guaranteed to be featured and are featured only at my discretion. I do accept sponsored posts or videos. I do accept free products for giveaways.